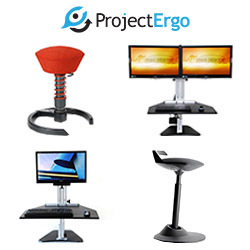 Specialist standing desk and ergonomic chair suppliers, Project Ergo Ltd, is based in London, UK. They offer Kangaroo standing desk systems, Muvman stools and Swopper seating from German manufacturer, Aeris, and more. Project Ergo was set up in 2013 by David Argent building on his 25 years experience in office furniture. 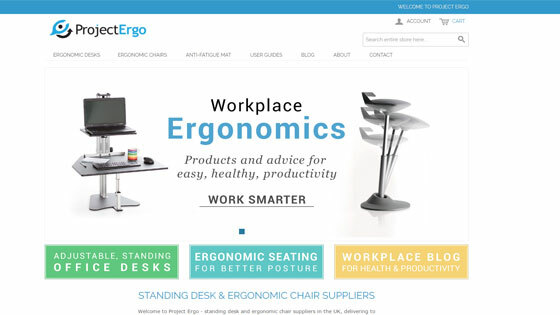 They are much more than an online shop – we provide advice and guidance to individuals and organisations looking to purchase ergonomic desks, seating and other furniture. Their most popular pages include the electric desks page from the Kangaroo range.